Why do these categories matter? Because they change the type of container you’ll want! If your Christmas-themed cushions are headed for the basement, you probably don’t care if they’re stored in beautiful baskets. In fact, it’s better if you get those puppies in an airtight container that keeps the must out! Lake homes can often require a little creativity in the in-sight storage department. We love coming up with solutions specific to our clients’ needs and homes, especially when we get a challenge! 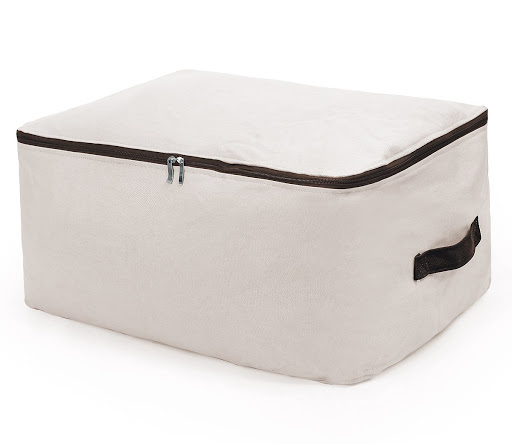 Canvas bags are great options for understated but charming storage. 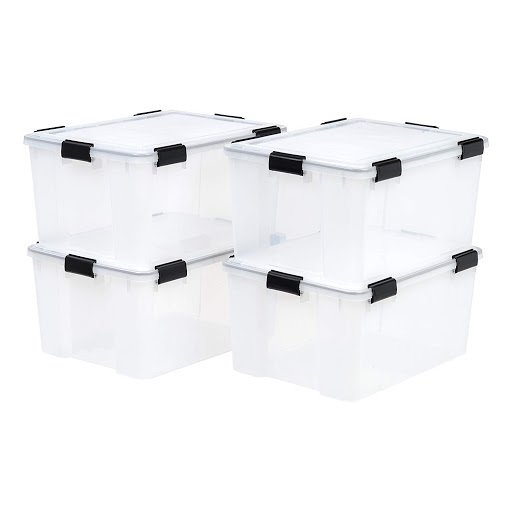 They blend well with most décor (unlike plastic) and they fit well to whatever you need to store, from blankets to chopped firewood. You can also find waterproof options that are perfect for our humid summers! 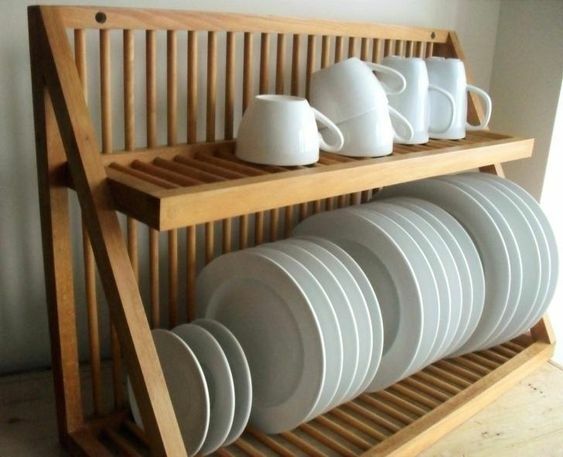 If you’re short on cabinet space, mounting a dish rack to the wall might be the way to go. Just make sure the rack is placed high enough that your grandkids won’t knock their heads into it! 3. Raise the Roof Bed! Lake houses are infamous for needing more storage, and the space under your bed is quality real estate. So what do you do if the under-bed area just isn’t big enough to be functional? Raise the bed! 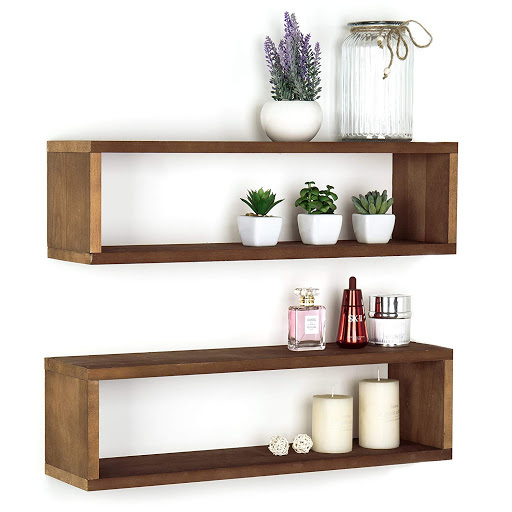 Floating shelves are highly underestimated storage space… and they have a quaint charm of their own, too. Are there any areas of your lake home where a floating shelf might help you free up more space? 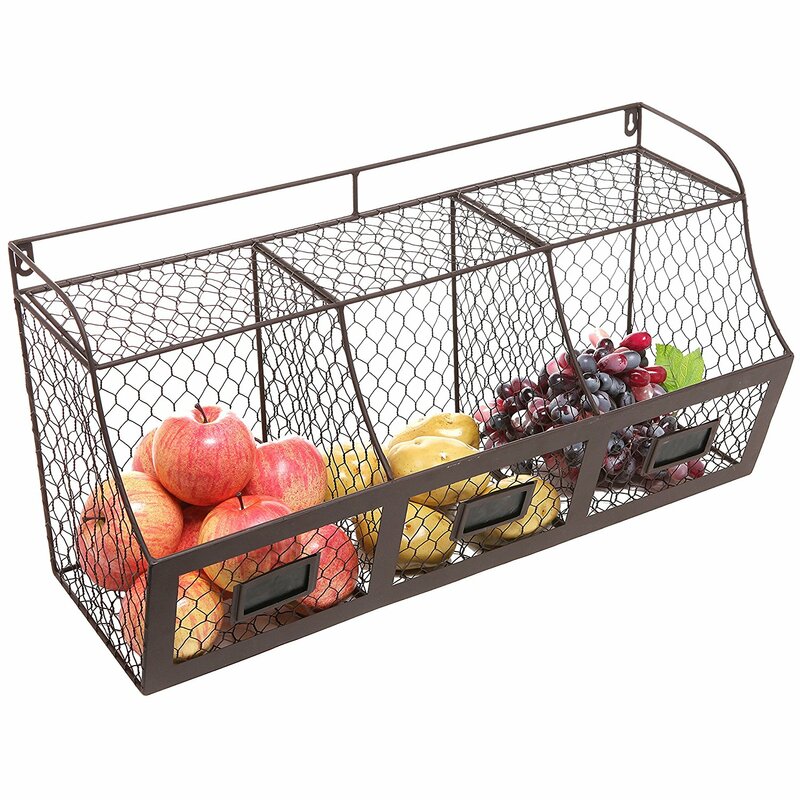 This mountable fruit basket (with fun chalkboard labels!) are a great way to free up your beloved counter space. 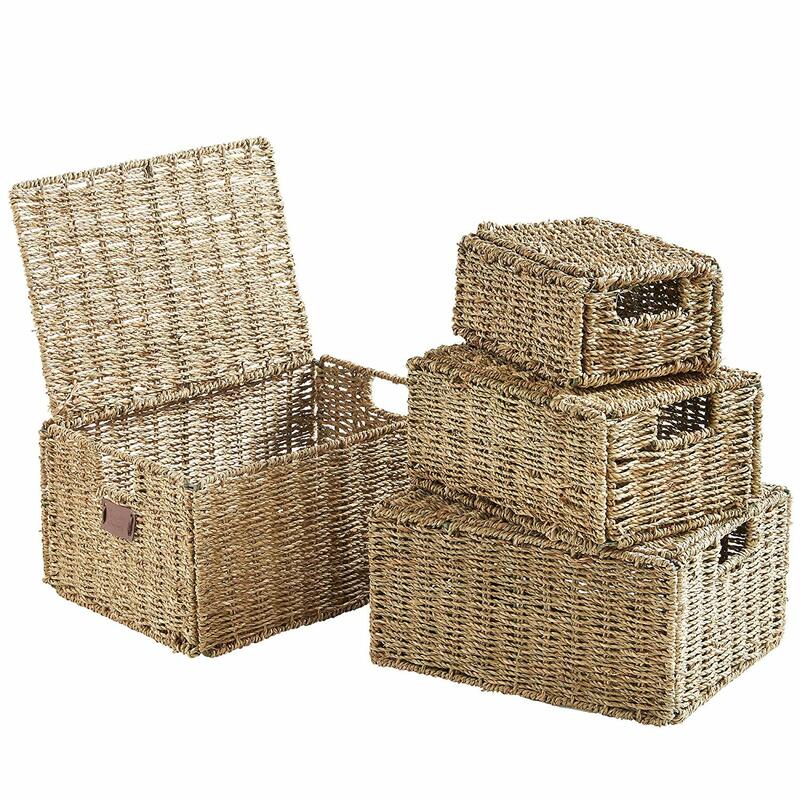 But these baskets don’t just have to go in the kitchen. 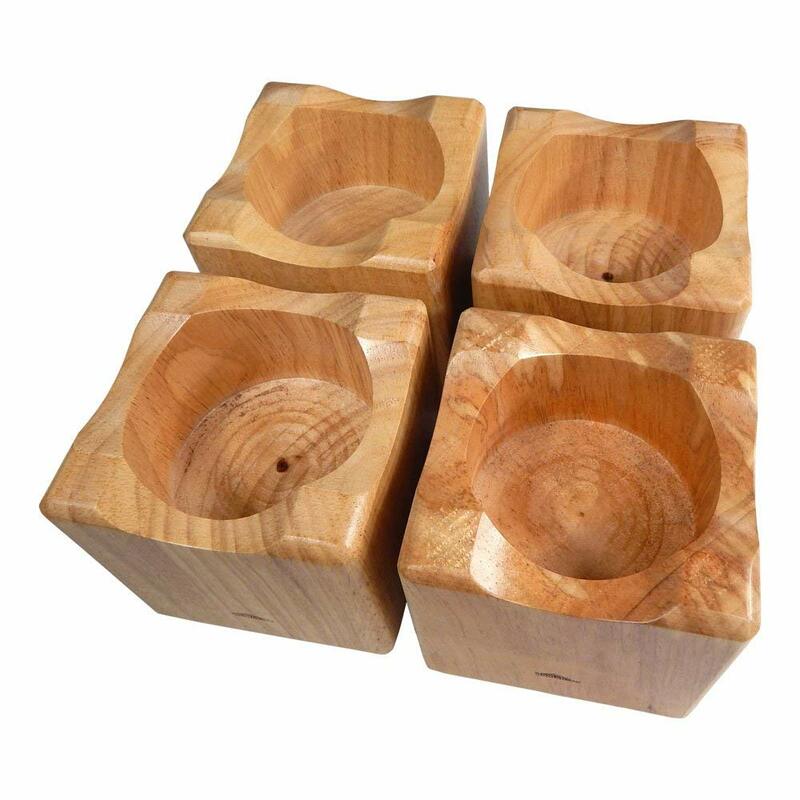 Mount one in your bedroom or bathroom for socks, toiletries, you name it. If you’re looking for some creative ideas for your space, just give us a call or swing by the store. We can’t wait to meet you!